Building domain ontology is time consuming and tedious since it is usually done by domain experts and knowledge engineers manually. This paper proposes a two-stage clustering approach for semi-automatically building ontologies from the Chinese-document corpus ba-sed on SOM neural network and agglomerative hierarchical clustering and automatically checking the ontology consistency. Chinese lexical analysis and XML Path Language(XPath) are used in the process of extracting resources from Web documents. In our experiment, this two-stage clustering approach is used for building an automobile ontology. Experimental results and the comparison with the more conventional ontology-generation method are presented and discussed, indicating the high performance of our approach. 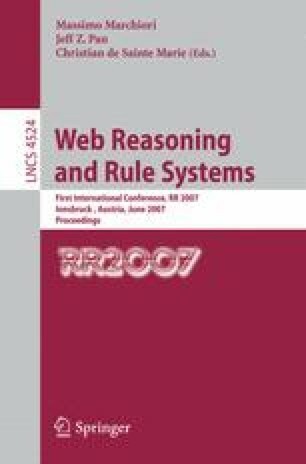 A Racer-based consistency-checking method of reasoning is presented in this paper. An ontology evolution method and performance evaluation are also given.